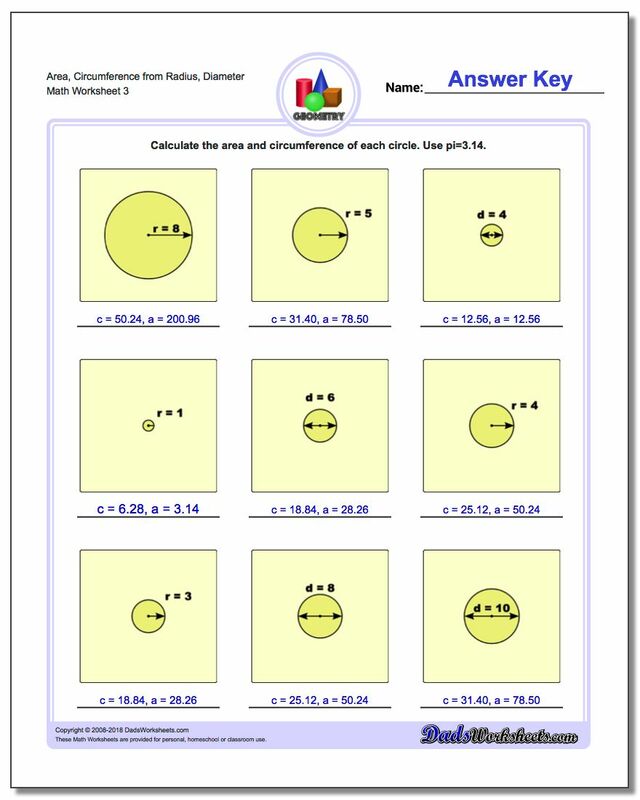 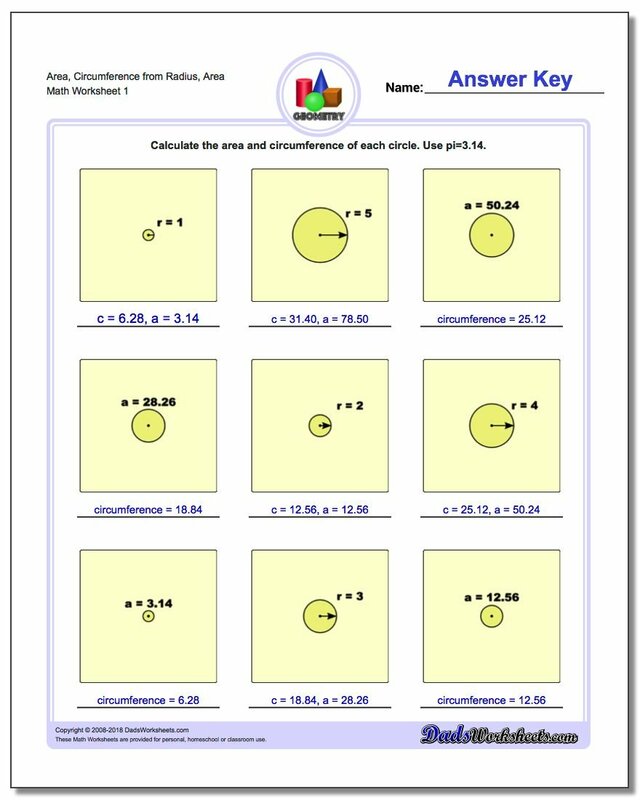 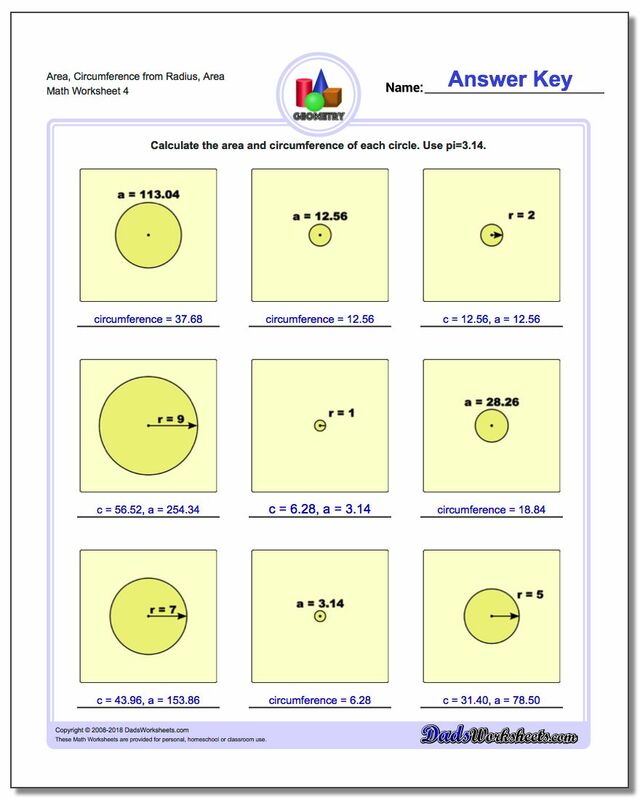 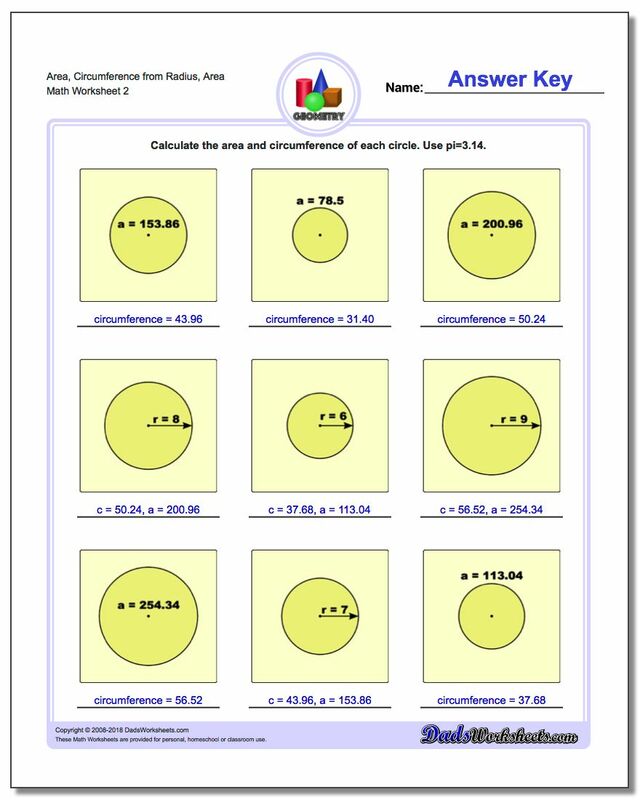 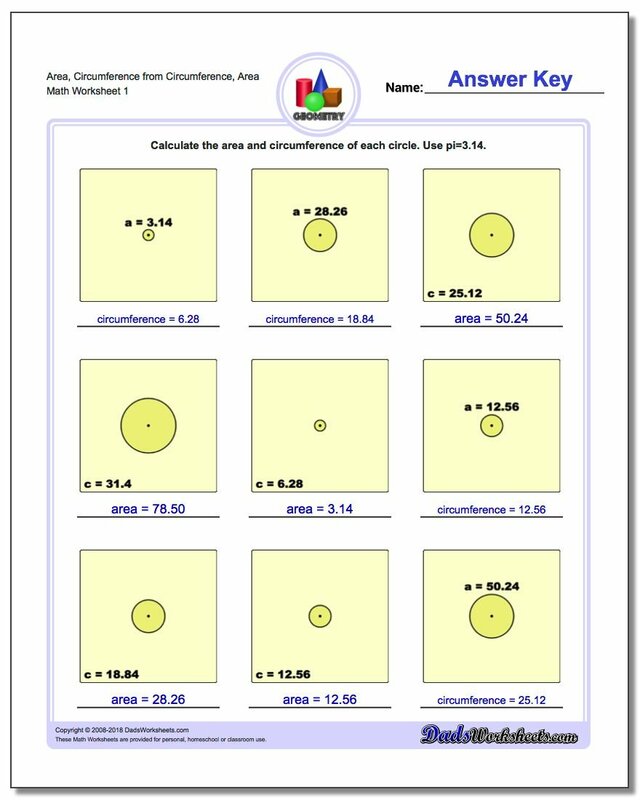 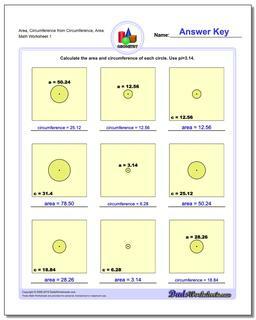 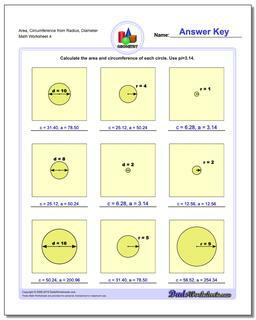 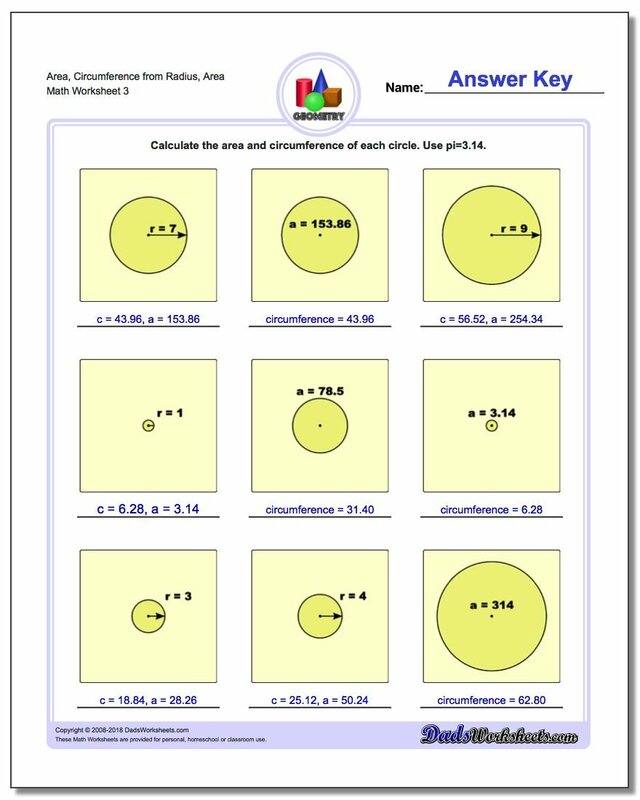 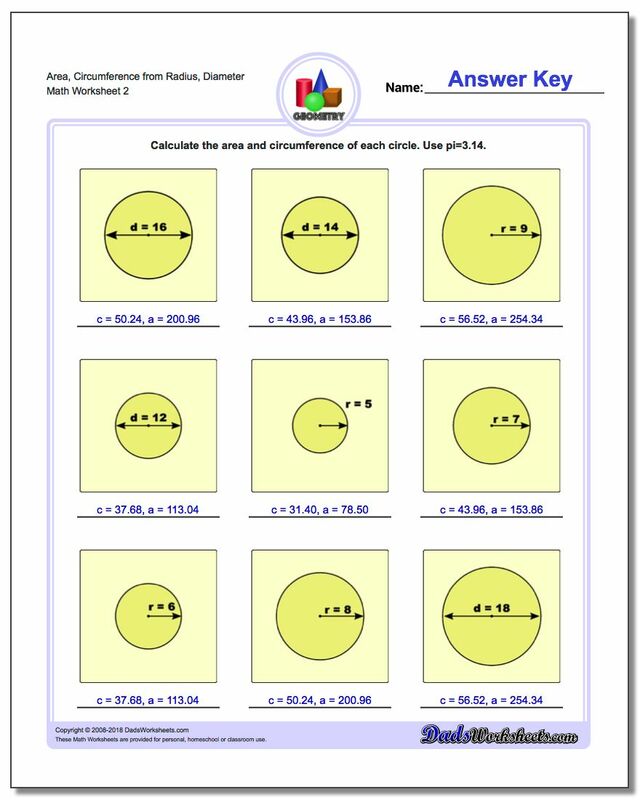 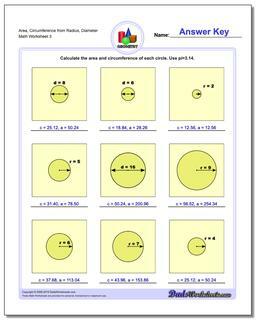 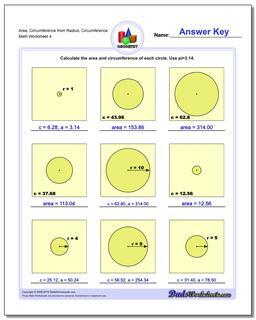 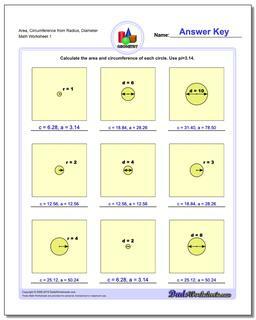 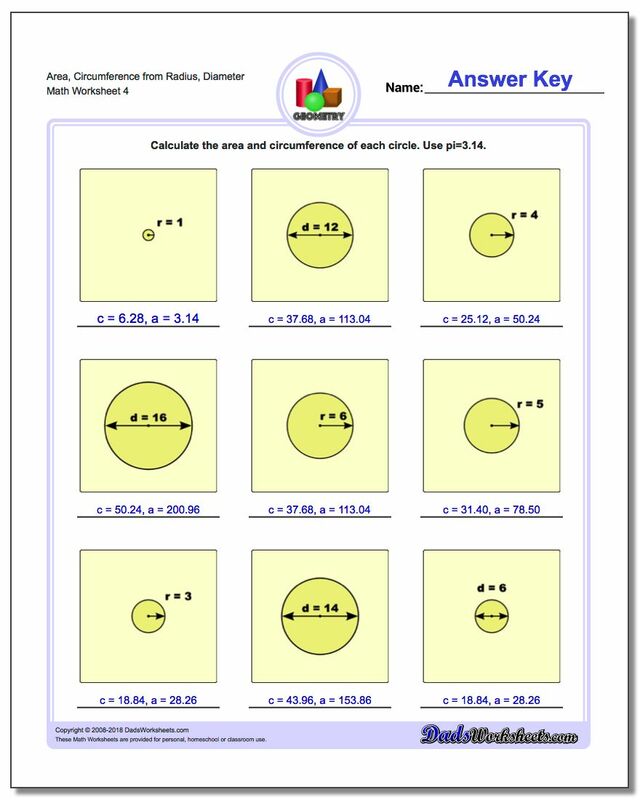 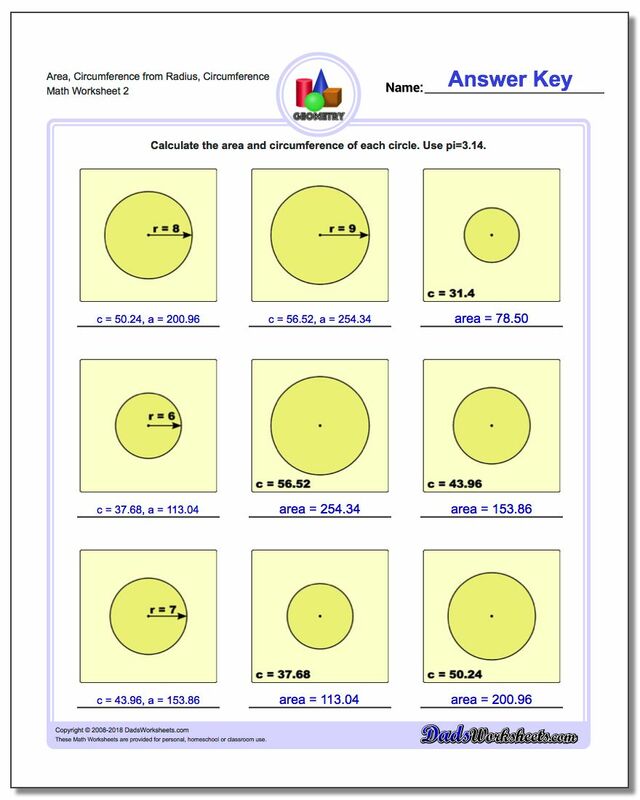 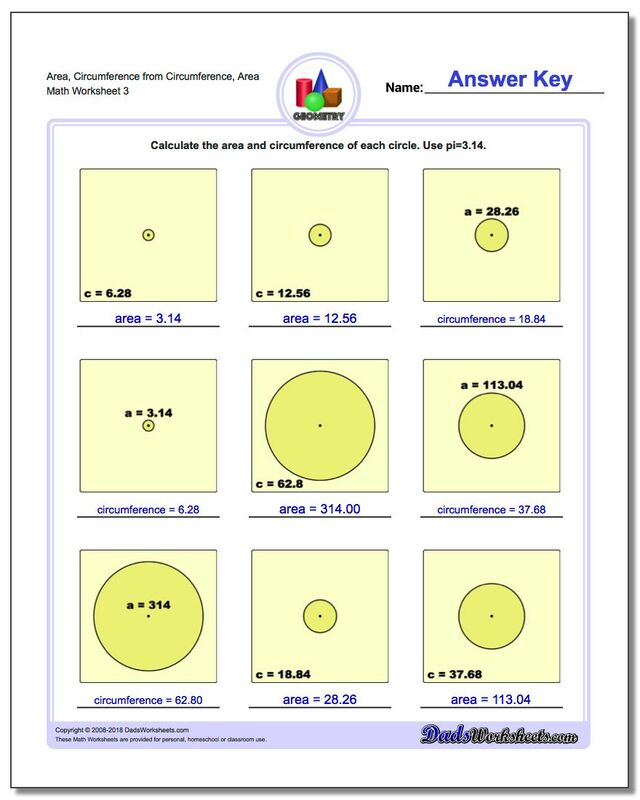 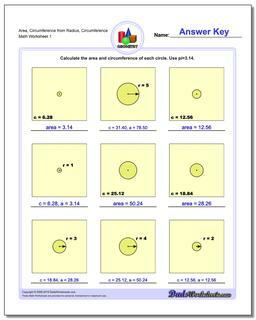 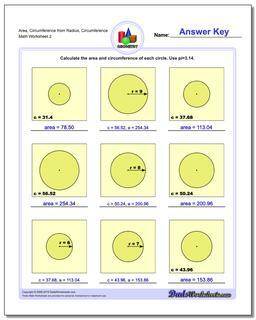 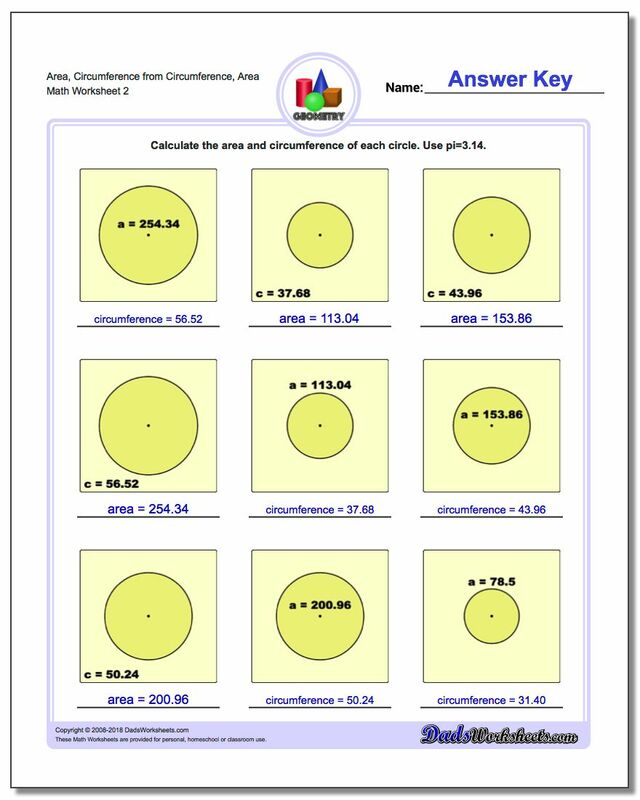 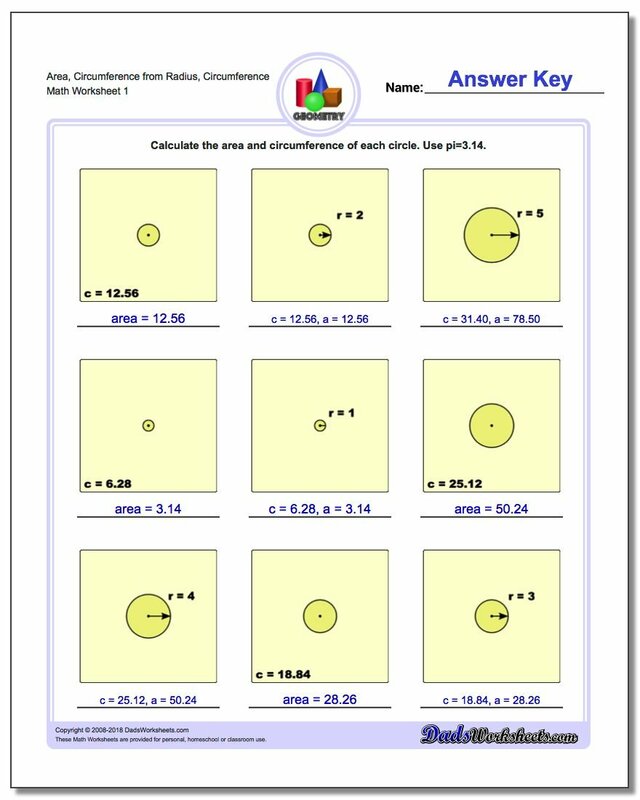 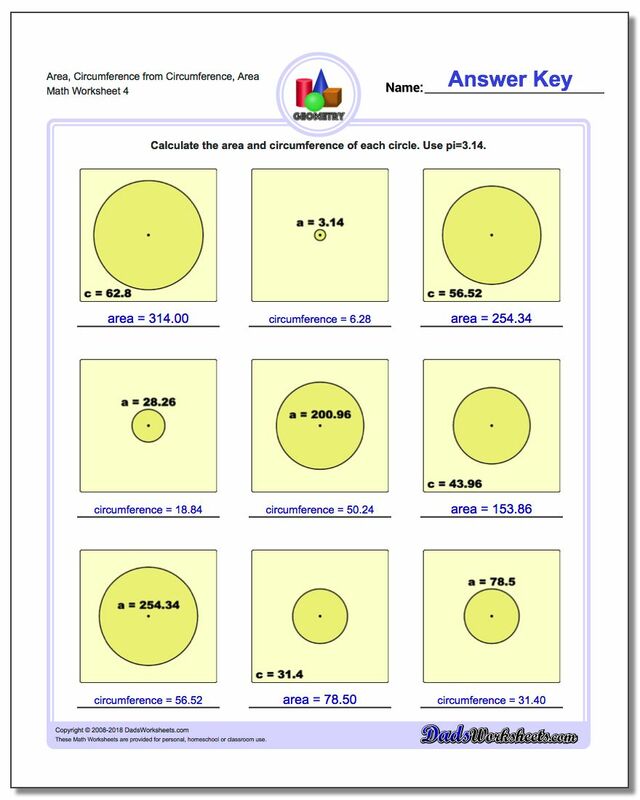 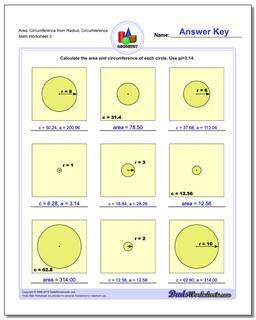 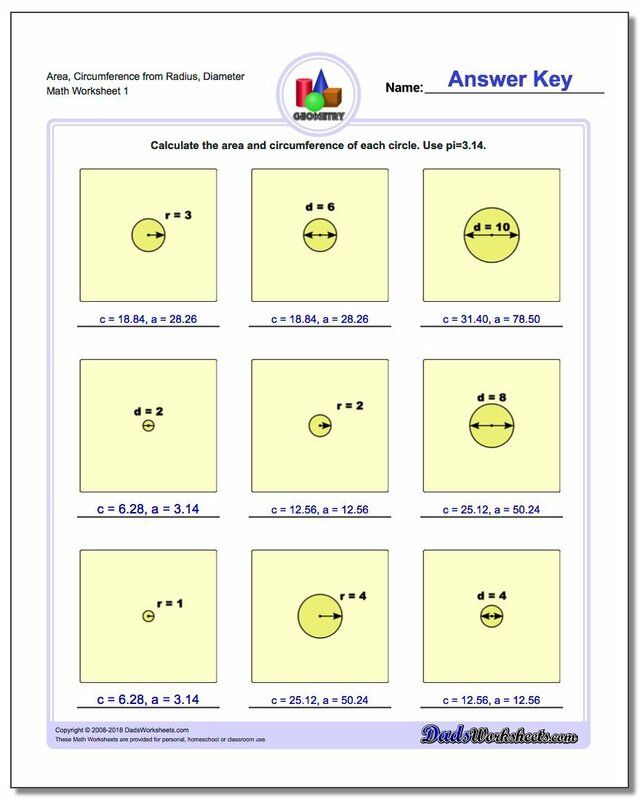 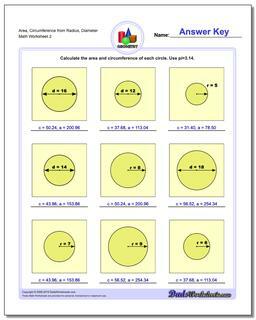 These slightly more advanced cricle worksheets require students to calculate area or circumference from different measurements of a circle. 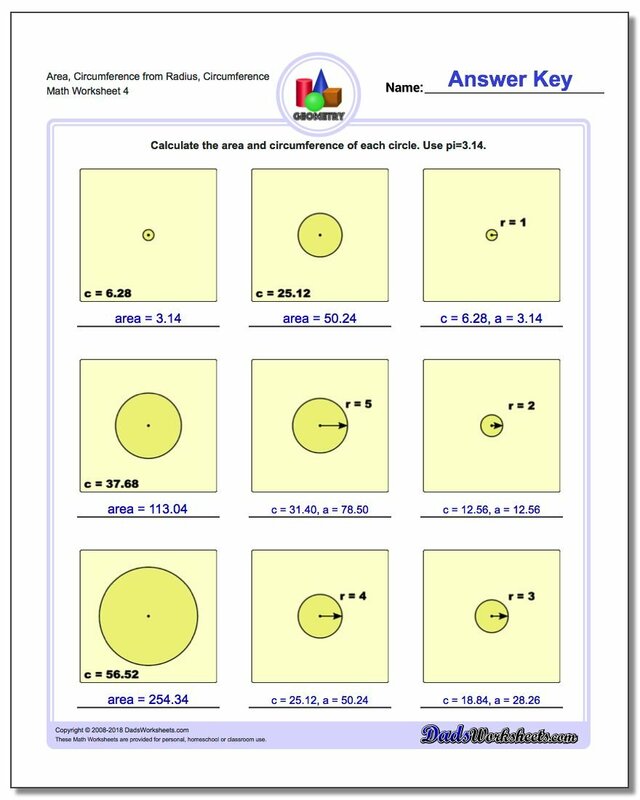 The earlier worksheets in this section require calculating the area and the circumference given either a radius or a diameter. 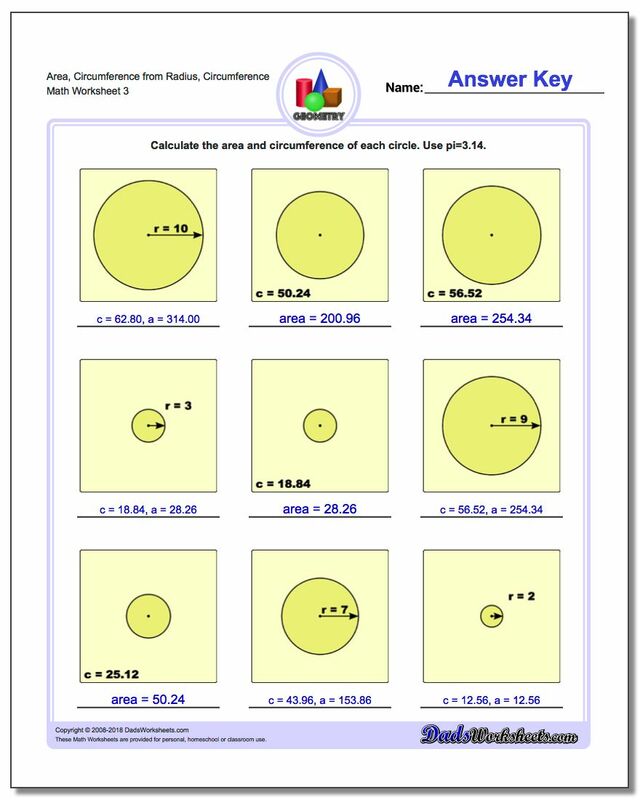 As the worksheets in this section progress, the student will be asked to calculate the area from the circumference, or the circumference from the area, essentially requiring that the student determine the appropriate radius given the corresponding measurement and then perform the relevant calculation for the missing value.